At PAX West last week, we recorded the first ever LIVE episode of Kotaku Splitscreen. And now you can listen to it, even if you weren't there. 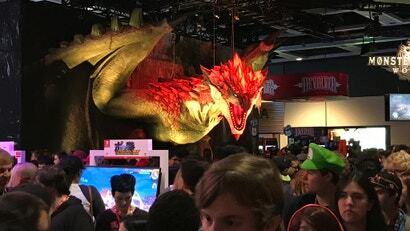 PAX West was a wailing stampede of video games large and small. It's impossible for a single person to play everything there. That said, I did go hands-on with a bunch of indie games and happened upon some very pleasant surprises. Here are a few of the best. 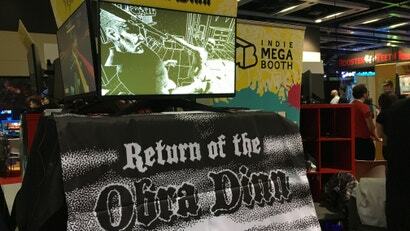 I'm really looking forward to Return of the Obra Dinn, the next game from Papers, Please creator Lucas Pope. The version at PAX West is much improved from the early demo you may have played, with a much more extensive "ship's log" interface that lets you keep track of all the murder mysteries you have to solve by reliving people's moments of death as you explore a ship in classic Macintosh-style monochrome. It shouldn't be long now before it's out.